Boutique of Quality Books, 9781939371096, 118pp. College graduate Adrian Ramirez has finally landed his first job, and it's the opportunity of a lifetime: teaching at the elite Finley Academy in his hometown of Newnan, Georgia. Life is on the upswing, and Adrian returns home with girlfriend Lea and high hopes---but the Academy is not the idyll he imagined. Along with the new pressures of adulthood, and a rising anxiety disorder he's having trouble hiding, Adrian discovers there's been a string of unexplained dropouts at the school. He suspects something is amiss with two of his students, identical twins Raven and Robin. One outgoing, one withdrawn, both keeping a secret. When Adrian is accused of being at the center of a student's breakdown, he is forced to dig deeper to unravel the mystery, finding influences of the paranormal along the way. 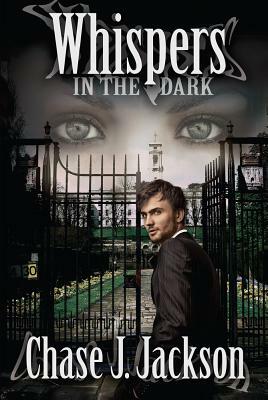 Will Adrian be able to unlock the dark secrets of Finley Academy---and his own past---in time? Born and raised in Atlanta, Georgia, and now a resident of Newnan, Georgia, Chase Jackson developed an interest for writing suspense and mystery at an early age after reading all of R.L. Stine's "Goosebumps" books. As a teenager, Chase began writing short stories and poetry based on his experiences. After winning a local poetry slam, Chase decided to bring his writing to life through the art of film. During his collegiate career at the University of West Georgia, Chase studied literature, cinematography, and film editing, ultimately graduating with a bachelor's degree in English. After college, Chase dedicated his time to writing his first novel, "Whispers in the Dark." In addition to writing, Chase is the creator of Chase-N-Dreamz Productions, which has filmed projects ranging from an awareness film for The Polycystic Kidney Disease Foundation to a short film about human trafficking in Haiti.